Receive a Bonus up to $4400 & Enjoy New Trading Opportunities! Do you feel restricted with some brokers’ limited account types and conditions? Are you new in trading that you feel edgy, which makes you want to test the waters first? Here’s a broker for you – NordFX. With up-to-date technology and platform used for trading, they offer a variety of account types for you to choose from. Let’s find out more about NordFX. Founded in 2008, NordFX is an international Forex broker that caters to the trading needs of individuals and corporate traders with a modern web-based platform. They specialize in trading binary options, which gives you an opportunity to trade high-yielding instruments. NordFX offers a variety of 6 account types with different minimum deposit offers, spread ranges and leverage. Because of their high-quality services and stability, they have been acclaimed internationally, with awards and recognitions such as the IAIR Awards Best Broker 2016 and Best Micro Forex Broker 2015. NordFX is located in Mauritius. Inquiries and feedback can relayed through the customer support form. Also, NordFX has a live chat feature where skilled customer support specialists are available 24 hours a day, five days a week. NordFX also offers a list of frequently asked questions where direct and helpful answers are provided. NordFX has a quick and fast registration process where no paperwork or office visits are required. You just have to complete the registration form with your complete details and, you’re in! You can choose from different account types, each with distinct features.. Micro and Account 1:1000 require a minimum deposit of $5, credit leverage of 1:500 and 1:1000, and fixed spread from 2 pips and 3 pips, respectively. The Micro account is designed for beginners. For Account 1:1000, automated trading is allowed. Standard and Standard MT5 accounts require a minimum deposit of $50, a credit leverage of 1:200 and floating spreads from 1 pip. Standard account uses MetaTrader 4 while Standard MT5 uses MetaTrader 5. MT-ECN account requires a minimum deposit of $1,000, credit leverage of 1:1000, and floating spreads from 0 pips. 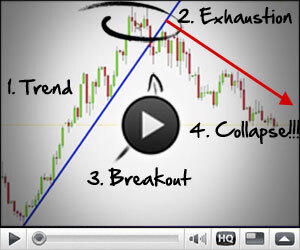 This account is designed for a broad spectrum of traders. The Premium account requires $50,000 minimum deposit with benefits like individual customer service, a complementary debit card and your own personal manager. Deposits and withdrawals are through bank transfers, cards, online payment systems and online exchange services. Is it fast, convenient and reliable? Yes! NordFX has stable servers and platforms, with order execution in just half a second. Also, 37 foreign currency pairs, precious metals and binary options are available to clients of all account types. As NordFX specializes in trading binary options, a separate platform is provided for such. They have minimal spreads ranging from 0.2-2 pips and leverage of as high as 1:1000. NordFX also has a direct ECN flow. NordFX servers work with Fozzy Forex VPS to provide uninterruptable trading 24/7 across the globe. NordFX has taken steps to improve their systems through the use of MetaTrader 4 and 5. They also have the Multi-Terminal powered by MetaTrader 4 for traders working with several accounts at the same time. The NordFX mobile app is also available to iOs and Android users. A web platform for binary options is also provided with safe and reliable security on trading. Reuter’s news feeds, information and educational resources are available as well. Now, you can watch and trade at your own convenience. 55% NordFX bonus on deposit where you receive a trading bonus of up to $4,400 for $100-$8,000 deposited in your account. Deposit Bonus up to 100% and with free training and tips in trading Forex and binary options. Trading binary options come with bonus of up to 150%.